It’s a strange feeling, meandering your way through the narrow, sleepy streets of Viano do Castelo to see posters with ‘The Capital of Techno’ swaying in the salty sea breeze. Old men smoke cigarettes and share a glance with the statue of a sea goddess as she looks out to sea. Locals dine on fresh monkfish and cod while drinking bottles of the finest green wine. It’s hardly what initially springs to mind when the word techno enters your brain, but that’s what makes it so beautiful. 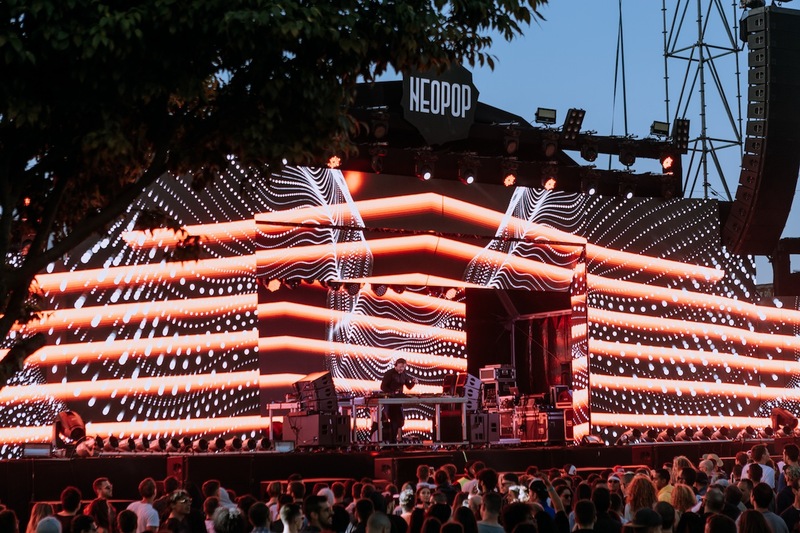 ‘The Captial of Techno’ is, in fact, a petition designed to allow Neopop, Portugal’s leading festival for techno music, to expand from its ‘edge of town’, oxymoronic location, inhabited by historic fort walls and industrial cranes, into the streets of Viano do Castelo itself. I arrived late on the opening night, a Wednesday no less, to catch St Germain performing live. “It’s about expanding the festival and getting the local community involved”, says Gustavo Pereria, the festivals founder and one of the country’s most respected DJ’s. It seems to be working. This year a local theatre played host to performances from Clark and James Holden and inside an old, medieval wall in the centre of town a photo exhibition shows the faces of everyone involved, bringing a human element to the otherwise stigmatised techno culture. The Portuguese electronic music scene seems to be in genuinely good health and the festival line up illustrates this with its blend of local and international acts, from Switchdance to Tijana T. There’s a heavy emphasis on live performances, more so than I have seen at other European festivals, which is something I find interesting given the ‘everybody’s a DJ’ culture that has sprouted due to soaring popularity. Dopplereffekt are the first live act I go to see, and their downtempo, electro set is a welcome change to the deafening kick drums that dominate. Even the most stubborn of purists will admit that they can’t listen to techno all day, every day, as the relentless rhythms threatens to evolve into one twenty four hour track. Next up, and my highlight from the second night, is Finnish artist Aleksi Perala, also playing live, with his sporadic bursts of uplifting euphoria and atmospheric drones. DJ Nobu sees out the morning, with the sun high in the sky at the hedonistic hour of 7am, bringing an infectious and reawakening energy to weary legs. Enter the second day, enter Jeff Mills. At one point during his set, his assistant invites me onto the stage, just horizontal to where he is playing. She tells me, “I want you to see how fast his hands are actually moving.” She isn’t wrong either. I swear at one point there was actual lightning coming from his finger tips as he performs flawlessly in front of the colourful and encapsulating Neopop main stage. Paula Temple and Rebekah showcased, once more, why they are one of the most consistent back to back doublets in techno, with Vrilski also illustrating a collaborative talent. The duo, made up of Vril and Voiski, performed live at 6am - an odd time for a live act indeed, and it worked magically. It was truly the year of the live act. On the final night/morning I catch Dorisburg performing exactly the sounds you want to hear as you warm up for the long evening ahead– Arabian grooves moulded beautifully together with steady rhythm, delivered with such artistic and intellectual subtlety. My time at the festival is cut short, due to an early flight, but I have just enough time to squeeze in a set from Nina Kraviz. She gets a lot of criticism in the bedroom DJ comments section, and I don’t think it’s justified. Are we actually going to get annoyed at a selector dancing to their own selections? Isn’t that what we’re all doing? Dancing? Why is this luxury exclusively given to us and not the one playing the music? She played a mammoth set, with those subtle, euphoric elements that makes techno music special in a genre dominated by grey. Here at Neopop, like Portugal itself, it’s about the experience. You don’t have to enjoy every artist on the bill. It isn’t just about the music. 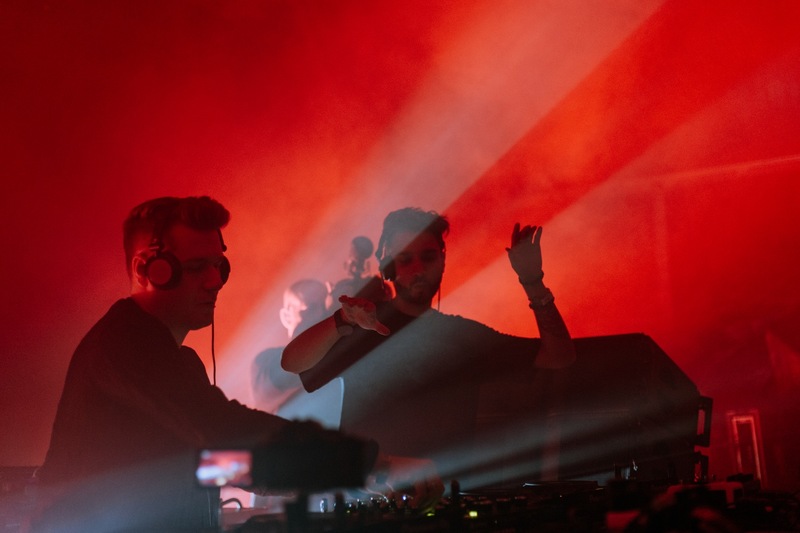 There’s a hospitality and friendliness that is embedded in the fabric of the country’s culture, something that goes hand in hand with the culture of electronic music, and which makes it such a pleasure to experience.